I’ve always loved Jamba Juice smoothies, but usually my intolerance for inefficiency prevents me from walking an extra block out of my way to visit their retail store (especially when the oh so convenient Starbucks is basically at every corner). Now I have no excuse to skip out on my fruity power up, because Jamba recently introduced smoothie kits based on their most popular flavors to make at home! 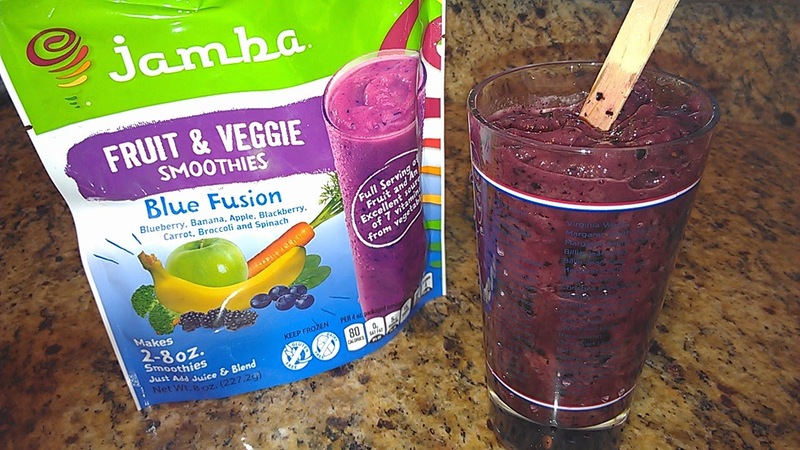 It’s super easy too – all you need to do is add juice and blend in a blender! One smoothie is equal to one full serving of fruit and 100% daily value of vitamin C – as I say, a fruit (smoothie) a day, keeps the doctor away. 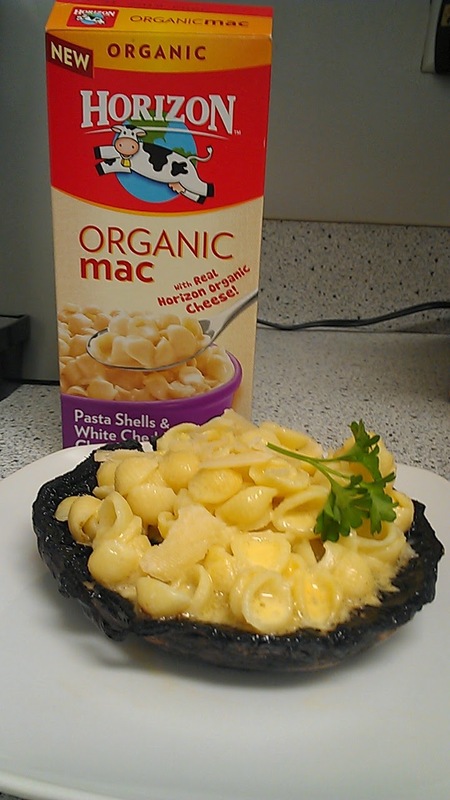 Horizon Organic’s Mac & Cheese is an ideal option for people (like yours truly) who love mac & cheese, but want to trade up to options with organic ingredients, that are free of high fructose corn syrup, artificial flavors, colors and preservatives and that are made with non-GMO ingredients. And if you prepare it with skim milk and sans butter, you can save ~100 calories! Add a meaty Portobello mushroom cap (the best item for adding a ton of heartiness at only 50 calories a pop) and BAM - comfort food on a dieter’s budget. This dish was created in order to optimize nutrition while minimizing calories and prep time. Like a well-oiled machine, every component of the entree serves a purpose. 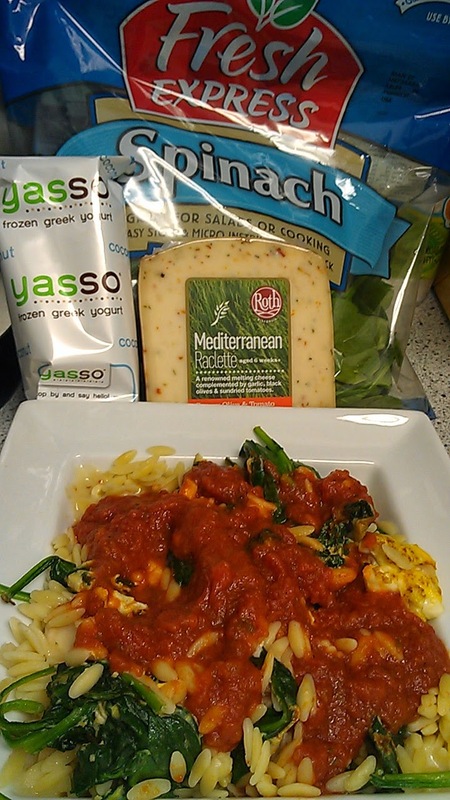 The orzo provides complex carbs and a sense of bulkiness; the spinach provides iron and soluble dietary fiber; the egg is the source of protein; and the Swiss-style cheese for bold flavors and fun! And of course, all's well that ends well...but only with dessert! Yasso is the first-ever line of frozen Greek yogurt bars that is only 60 calories a pop, filled with protein and contains little to no fat. A healthy treat that doesn't sacrifice flavor? Now that's a must to end the day (and this post)!